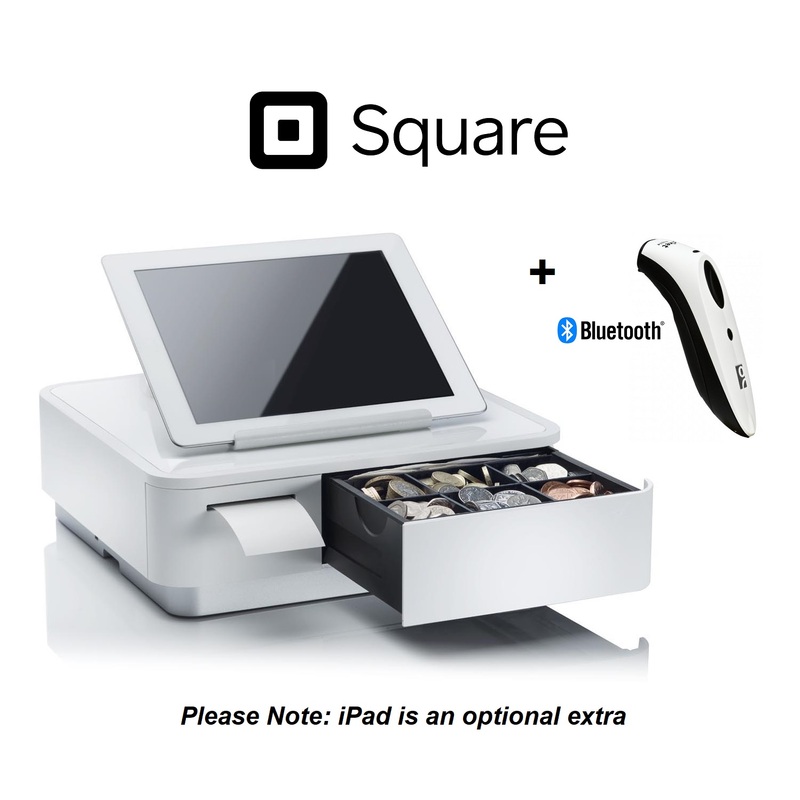 Square POS custom Hardware bundle 15 comes with a Star Micronics mPOP Cash Drawer & Printer Bluetooth Combo plus a SocketScan S700 White Barcode Scanner. Scan barcodes with Square from your iPad with this POS Hardware Bundle! We have put this customised bundle package together for use with the Free Square Point of Sale App. Check out below for individual item specifications! Included in Box Simple double sided stand, mPOP fixing tool, AC cable, Paper roll.